Home Ivan H. Garcia, M.D. Dr. Ivan Garcia is the Keratoconus Institute of Maryland’s Chief Director of Medical & Surgical Services. 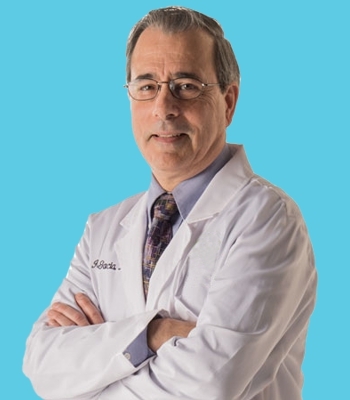 His extensive training in intricate microsurgical techniques and experience in performing delicate eye surgery including cataract and corneal transplants and laser vision correction, has made him one of the Baltimore region’s most trusted eye specialists. Dr. Garcia is equally as passionate about giving back to the community and has committed a great deal of time and skills to delivering low or no-cost specialized medical eye care to people in need throughout the region.